"Last year, Octavia reprised her role as Johanna in Allegiant, the third installment of Lionsgate's The Divergent Series franchise. She also voiced the character of Mrs. Otterton in the Disney animated film Zootopia, one of fastest worldwide grossing films of the year. Last fall, she co-starred alongside Elisabeth Moss and Boyd Holbrook in The Free World, a drama focusing on a recently released former convict who becomes involved with a married woman with an abusive husband that premiered at the 2016 Sundance Film Festival; the drama Fathers and Daughters with Quvenzhane Wallis, Diane Kruger, Russell Crowe, Amanda Seyfried, and Aaron Paul; and The Great Gilly Hopkins, the adaptation of Katherine Peterson's young adult Newberry Award winning novel. Octavia also reprised her role as Opal in Mark Waters' Bad Santa 2, along with Billy Bob Thornton and Kathy Bates...."
The Hasty Pudding Theatricals, the oldest theatrical organization in the United States, announces Oscar winning actress, OCTAVIA SPENCER as the recipient of its 2017 Woman of the Year Award. The Pudding is proud to honor an actress whose depth of talent has captivated audiences with her comedic wit and her graceful portrayals of the underrepresented. The Woman of the Year Award is the Hasty Pudding Theatricals oldest honor, bestowed annually on performers who have made lasting and impressive contributions to the world of entertainment. Established in 1951, the Woman of the Year Award has been given to many notable and talented entertainers, including Meryl Streep, Debbie Reynolds, Katharine Hepburn, Julia Roberts, Jodie Foster, Dame Helen Mirren and most recently Kerry Washington. The Woman of the Year festivities, presented by the Related Companies, will begin at 3:00p.m. on January 26, 2017, when Ms Spencer will lead a parade through the streets of Cambridge. Following the parade, the Hasty Pudding Theatricals will host a celebratory roast for the actress. At 4:00 p.m., Ms Spencer will be presented with her Pudding Pot at Farkas Hall, the Hasty Pudding's historic home in the heart of Harvard Square since 1888. A press conference will follow the presentation. For the first time ever, the press conferences for Hasty Pudding's Man and Woman of the Year will be live-streamed and available to the public free-of-charge. More information will be available on the Hasty Pudding's social media channels soon via Facebook www.facebook.com/thehastypudding, Twitter @thehastypudding and Instagram @thehastypudding. Afterward, the Hasty Pudding will give a preview of their 169th production, Casino Evil. "We could not be more excited to offer Ms Spencer our Woman of the Year award. We are humbled by her talent and are so honored that our little Pudding pot will be sitting alongside Ms Spencer's Oscar and Golden Globe on her mantle," said Hasty Pudding Theatricals' Co-producer Adam Chiavacci. "Everyone here is really looking forward to meeting her – as long as she doesn't prove as difficult as her character on 30 Rock!" added Pudding Co-producer Natalie Kim. OCTAVIA SPENCER, a veteran character actress and one of Hollywood's most sought-after talents, has become a familiar fixture on both television and the silver screen. Her critically acclaimed performance as Minny in DreamWork's feature film The Help won her the 2012 Academy Award, BAFTA Award, Golden Globe Award, SAG Award, and Broadcast Film Critic's Choice Award among numerous other accolades. 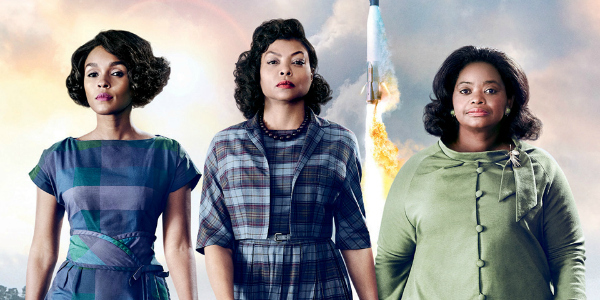 Octavia can currently be seen in the highly acclaimed drama Hidden Figures alongside Taraji P. Henson, Janelle Monáe, and Kevin Costner. The film tells the true story of several African-American women who provide NASA with critical information needed to launch the program's early successful space missions. Octavia's performance as Dorothy Vaughan has earned her SAG, Golden Globe, and NAACP Image Award nominations to date. Later this year, she will be seen starring in The Shack, a film based off of the best-selling novel of the same title. The film follows a man, whose daughter is abducted during a family vacation, with evidence found in an abandoned shack leading authorities to believe she was murdered. Octavia also co-stars in Marc Webb's drama Gifted alongside Chris Evans and Jenny Slate. The film tells the story of Rank Adler, a deliberate underachiever who is raising his niece in rural Florida. Octavia recently wrapped production on Guillermo del Toro's The Shape of Water, in which she stars alongside Michael Shannon, Michael Stuhlbarg, and Sally Hopkins. The film is an otherworldly love story set against the backdrop of the Cold War. She also recently finished filming Small Town Crime with John Hawkes and Anthony Anderson, a film about an alcoholic ex-cop who, through an act of self-redemption, becomes hell-bent on bringing a killer to justice. Last year, Octavia reprised her role as Johanna in Allegiant, the third installment of Lionsgate's The Divergent Series franchise. She also voiced the character of Mrs. Otterton in the Disney animated film Zootopia, one of fastest worldwide grossing films of the year. Last fall, she co-starred alongside Elisabeth Moss and Boyd Holbrook in The Free World, a drama focusing on a recently released former convict who becomes involved with a married woman with an abusive husband that premiered at the 2016 Sundance Film Festival; the drama Fathers and Daughters with Quvenzhane Wallis, Diane Kruger, Russell Crowe, Amanda Seyfried, and Aaron Paul; and The Great Gilly Hopkins, the adaptation of Katherine Peterson's young adult Newberry Award winning novel. Octavia also reprised her role as Opal in Mark Waters' Bad Santa 2, along with Billy Bob Thornton and Kathy Bates. In 2014, Spencer co-starred alongside Kevin Costner in the drama Black or White, which premiered at the 2014 Toronto Film Festival to rave reviews. Previously, Octavia co-starred in Tate Taylor's Get On Up, a chronicle of musician James Brown's rise to fame that also starred Viola Davis and Chadwick Boseman and the sci-fi, action-adventure Snowpiercer opposite Tilda Swinton and Chris Evans. Directed by Bong Joon-ho, the film followed a train that holds all remaining inhabitants on earth after a climate-change experiment wipes out the rest of the population, and the class system that emerges. In 2013, Spencer was seen in the indie-drama Fruitvale Station which follows the final hours of Oscar Grant's life, a young man whose death sparked national outrage after video footage of his shooting was released to the public on New Year's Eve 2009. Fruitvale Station won several prestigious awards including both the Grand Jury Prize and Audience Award for US Dramatic films at the 2013 Sundance Film Festival, the Un Certain Regard Award for Prix de l'avenir at the 2013 Cannes Film Festival, and was named one of AFI's Films of the Year and received nominations for the 2014 Spirit Awards and NAACP Image Awards. Octavia was awarded "Best Supporting Actress" from the National Board of Review for her performance in the film and received an individual nomination from the NAACP Image Awards. She also served as a producer on the film. Additional film credits include Diablo Cody's directorial debut Paradise alongside Russell Brand and Julianne Hough; Smashed, an independent film which premiered at the 2012 Sundance Film Festival; Bryce Dallas Howard's directed segment of Call Me Crazy; A Five Film, an anthology of five short films focused on various stories of mental illness; Blues for Willadean, Fly Paper, Peep World, Dinner For Schmucks, Small Town Saturday Night, Herpes Boy, Halloween II, The Soloist, Drag Me To Hell, Seven Pounds, Pretty Ugly People, Coach Carter, Charm School, Win A Date With Tad Hamilton, Bad Santa, Spiderman, Big Momma's House, Being John Malkovich, Never Been Kissed and A Time to Kill. In 2009, Octavia directed and produced a short film entitled The Captain, which was a finalist for the coveted Poetry Foundation Prize at the Chicago International Children's Film Festival. Among her many other professional achievements, Octavia has co-authored an interactive mystery series for children called Randi Rhodes, Ninja Detective. The first title in the series, Randi Rhodes, Ninja Detective: The Case of the Time-Capsule Bandit was published by Simon & Schuster Children's Publishing in Fall 2013 and the second book, Randi Rhodes, Ninja Detective: Sweetest Heist in History, is currently in bookstores. The Hasty Pudding Institute of 1770's philanthropic mission is to provide educational and developmental support in all aspects of the performing arts for the underprivileged, to encourage satire and comedy, and to cultivate young talent around the world. The Institute is comprises the Hasty Pudding Club (the oldest social club in the United States), the Hasty Pudding Theatricals (the third oldest theater group in the world, after the Comédie-Française and the Oberammergau Passion Players) and the Harvard Krokodiloes (the foremost collegiate a cappella group in the United States). Over the last two centuries, it has grown into a premiere performing arts organization, a patron of the arts and comedy, and an advocate for satire and discourse as tools for change worldwide.